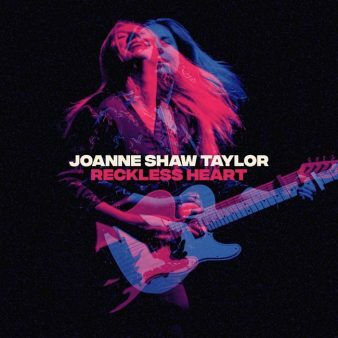 Joanne Shaw Taylor Drops New Video & Radio Mix For "The Best Thing"
Joanne has a singular voice that is steeped in the best R&B tradition and one that will stop you in your tracks. “Reckless Heart” is available now for pre-order. PRESS HERE and receive instant downloads of “In The Mood,” “Break My Heart Anyway,” “Bad Love,” and “The Best Thing.” This new release is both a make-up and a break-up album, written during two phases of a relationship: the fall out and getting back together. The 11-song collection explores a wide range of emotions and styles from the rollicking “In the Mood“ and the gritty, gospel-tinged “Reckless Heart” to the gorgeous, acoustic guitar-led“Break My Heart Anyway,” and the unplugged gem “Jake’s Boogie,“ recorded entirely live. Discovered at age 16 by Eurythmics co-founder Dave Stewart, she has spent a decade releasing increasingly successful albums, touring the world, headlining festivals, and amassing awards, and 2019 is sure to bring a lot more from Joanne. The U.S. tour kicks off May 11th in celebration of the release of Reckless Heart and will continue through the fall. Tickets are on sale now at www.joanneshawtaylor.com. For a taste of what’s in store, PRESS HERE to check out Joanne’s live performance on BBC 2’s Later…with Jools Holland.